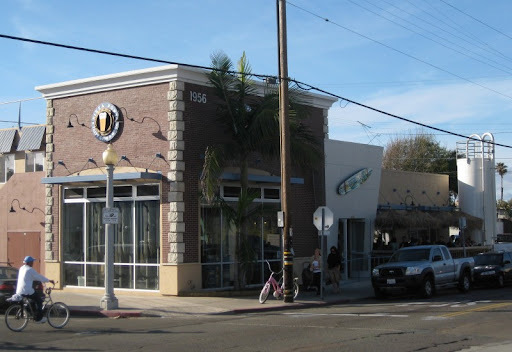 Pizza Port Ocean Beach is Open! 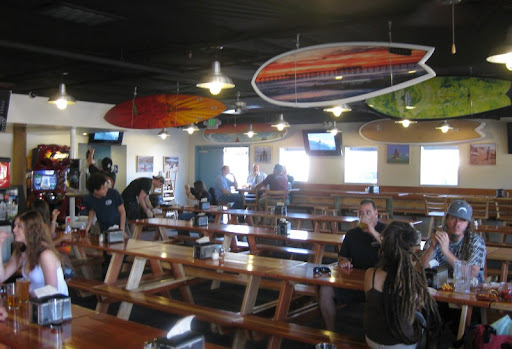 The long, painful wait is over - the Pizza Port Ocean Beach location finally opened its doors to the public last Friday. We weren't going to brave opening weekend crowds (I heard it was crazy), but Sherry had yesterday off and the weather turned unexpected beautiful, so we hopped on our beach cruisers and headed down to OB. The place was pretty active for a Tuesday afternoon, but not at all crowded. The deal here is just like the other Port locations - one line for beer, and another for pizza. They have a good number of taps (not sure exactly how many) with beers brewed on premises, other Port beers and a selection of guest beers. 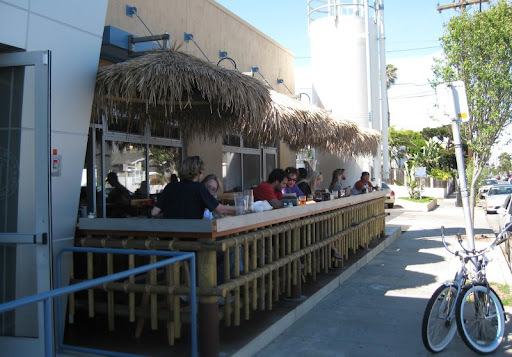 The prime seating on a warm spring afternoon, however, is their outdoor patio, which is where we made a B line for after grabbing a couple pints of their house IPA - the Jetty IPA. I liked the Jetty - it is a good west coast IPA. Maybe a bit heavy on the bittering hop versus aromatic for my taste, but still very nice. Sherry tried their New Break Pale Ale, which is a slightly hoppy pale - a fine beer if that's what you are looking for. Their other current house offerings didn't grab me (Chronic Amber, a honey blonde, a brown and a hefe), so I opted for a Bizon Belgian IPA from Port San Clemente. I found it to be more IPA and less Belgian than is typical of the style, but I enjoyed it. We didn't get any food, but I expect it is exactly like the other locations. 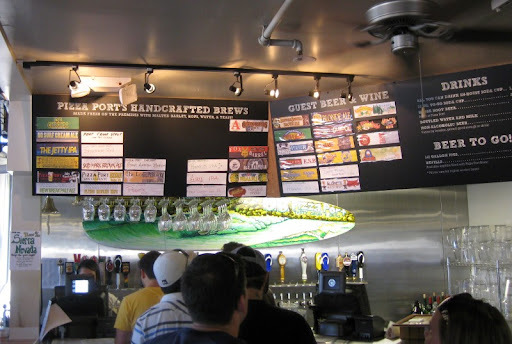 I'm no pizza snob, and I will happily eat Port's, but their beer is the real draw for me. Instead, after lazily enjoying our beers, we walked the block distance to the Ocean Beach Mariscos German truck and split a shrimp quesadilla (basically the same filling as a gobernador taco, but easier to eat). Yum. 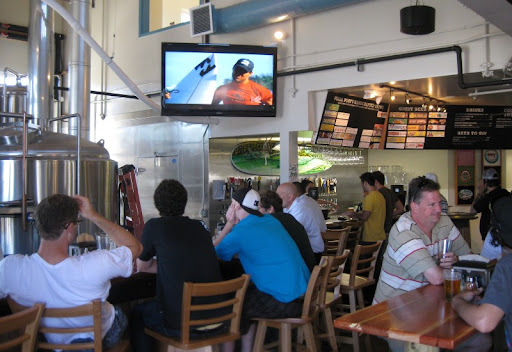 All in all, the new OB Port location is a great addition to the beach beer scene. We plan to visit often. I'm with you. Their beer is excellent. The pizza? Meh. The only time I had pizza there, I brought the leftovers home, and left them in the fridge for days, ultimately discarding them. Pizza leftovers that don't demand to be eaten are failures, in my opinion. Wow, it looks excellent! I really wish I had these kind of options at home. Bbq Dude - the times I've had their pizza have usually been as a way to soak up the alcohol partway through one of the awesome festivals at Port Carlsbad. 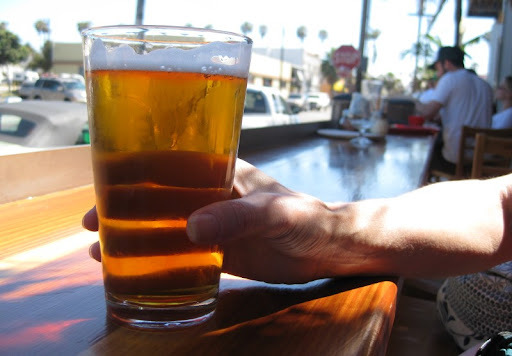 Mike - yeah, we are pretty blessed here in San Diego on the beer front.